Visiting Edinburgh welcomes you to Edinburgh Castle and Edinburgh Festivals which are reasons to visit this historic city. Edinburgh is an all year round city with art galleries, theatres, sightseeing, Blues and Jazz Festivals and the world renowed Edinburgh Film Festival, Edinburgh International Festival and Fringe. 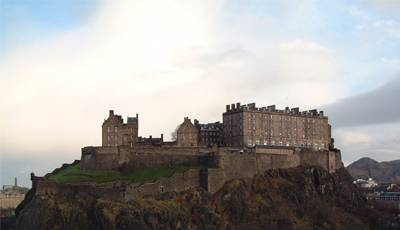 Edinburgh Castle is the top visitor attraction in Scotlandand the most recognisable tourist attraction in the world. It was built on the Castle rock, houses in Edinburgh were historically built on the area in front of the Castle.This area was called the Lawnmarket which can still be visited today. The old town continued down the High Street and Cannongate towards the Palace of Holyrood House. These streets are collectively called the Royal Mile. This route will also now take you from the Castle to the new Scottish Parliament. 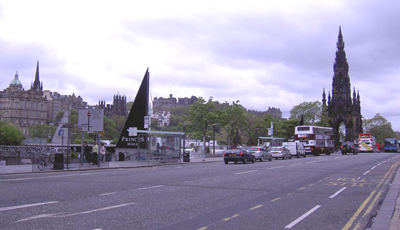 Situated on an extinct volcano it is part of Edinburgh's World Heritage site. Sightseeing in Edinburgh Few cities compare in beauty to Edinburgh. Surrounded by hiils with a Castle dominating the centre the visitor quickly feels at home. Travelling around Edinburgh is easy and straightforward as the old and new towns have their own character but are in a stones throw of each other. You can either travel around by coach or if you feel fit enough, do like the locals and travel the city centre on foot. Eating Out in Edinburgh Edinburgh has a wealth of Restaraunts everything from traditional Scottish food to cuisine from around the world. From Californian to Catalan. From Italian to Indian. From Lebanese to Nepalese and from Seafood to Scottish. All taste catered all diners welcome. Nightlife in Edinburgh Edinburgh like any Capital city provides for all tastes. 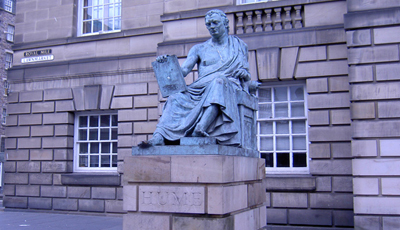 Clubbing, Pubs, or more exoctic taste visiting edinburgh will help you to find your prefered choice. Most stag nights and hen parties end up in the Grassmarket whilst those visitors looking for a more upmarket night out spend the night on George street. Edinburgh Festival Whatever else Edinburgh knows hows to do, it knows how to party and in August and September Edinburgh lets it hair down. The worlds biggest theatre and fringe festival take centre stage. Is it worth the effort should I make the trip wwv.visitingedinburgh.com would suggest that whatever else you do this year try to come Edinburgh.